2) equally welcome, those who wish to learn our methods to apply them to their own projects. Please note that the second audience must pay a registration fee to participate, but our fee is waived for continuing Digital Mitford editors and those we approve as new editors. More on this below. Students, Adjunct Instructors, or Independent Scholars: $60. Full-Time Faculty Members and Librarians: $180. What draws you to editing Mitford’s letters and literary texts? The Digital Mitford project is dedicated for the next three years to working on Mitford’s letters and published texts from 1810 – 1825. Please indicate if you have a particular interest in Mitford’s work from this period in your application. Applications may be written in the body of an e-mail message and addressed to me at ebb8 at pitt.edu by Saturday April 11, 2015. 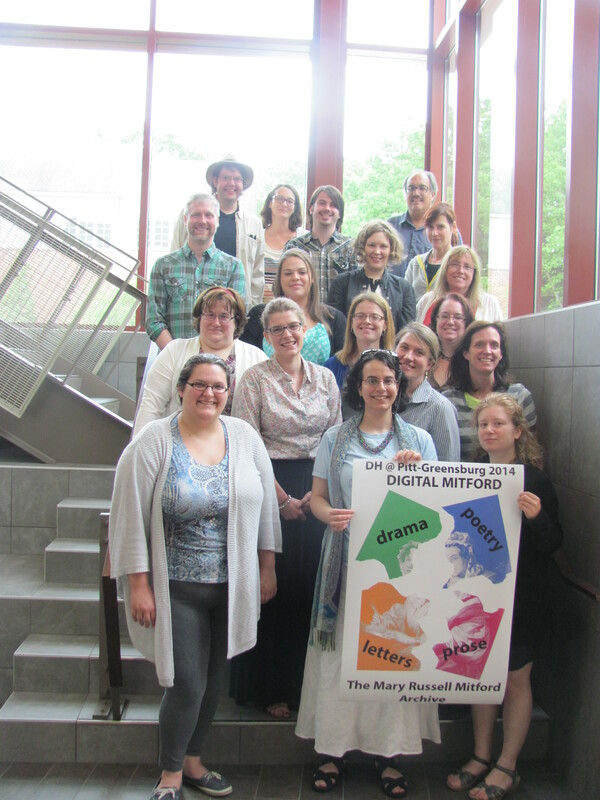 The Mitford team will review the applications, and waive the registration fee by late April for those best qualified to join as active editors. Depending on the level of response to the workshop and available accommodation space, applications for Active Editor positions may be competitive. We will cover the costs of residence in suites (with kitchens and good wireless internet) at the Pitt-Greensburg campus and will arrange for licenses for an extended (90-day) period to use our XML editing software . We cannot cover the costs of travel to Pitt-Greensburg, but we can and do coordinate rides from the Pittsburgh International Airport and the Amtrak train stations in Pittsburgh and in Greensburg. We ask each participant to investigate local funding sources to help cover the costs of travel here. If all else fails, we will happily make it possible for you to attend the workshops through Skype as we have done in previous years, but it’s best if we can all be together in person! Thanks, everyone, for reading and sharing with interested parties! We look forward to seeing many new and familiar faces at beautiful Pitt-Greensburg at the end of May! Please feel free to write me with any questions in advance of our registration and application due date of Sat. April 11.